Richard Curtis is the owner of Richie C Disco Services and has been in the mobile disco industry for over 25 years. At Richie C Disco we have great passion for music and absolutely love what we do. As a full-time professional disco service provider, we are completely dedicated to your mobile disco needs and we are available 7 days a week, all over Kent and the South East. At Richie C Disco you can be reassured that we have the experience and knowledge to make sure your expectations for a Mobile Disco and Wedding DJ are met. Our aim is to ensure that you have a night to remember, for all the right reasons! Offering a friendly and completely reliable service you are guaranteed to be very satisfied if you book us for your special occasion or event. We only have a limited amount of carefully selected and experienced professional DJs that we have long standing relationships with. We are not a big agency, we care and give you the personal service to ensure you are left completely happy. We believe attention to detail is vitally important in ensuring that your event runs smoothly. We will ask you all the right questions to ensure that everything is as you would expect it to be. We do not leave anything to chance and take pride in our work and service provided. We consider all your requirements to make sure you get exactly what you want from your special occasion or event. Take a look at the other sections on our Website. We work all over Kent and the South East. We will help make your special occasion or event extra special by providing a quality and reliable service at all times. Our attention to detail will ensure everything runs smoothly for you. We understand how important the service we provide is and take great care to ensure you get exactly what you need and expect from a Professional Mobile Disco and DJ Service provider. Call Richard or Emma to go through your mobile disco requirements. Richie C Disco has Mobile Discos and Wedding DJs that cover your region. Rochester, Strood, Hoo, Chattenden, High Halstow, Chatham, Lordswood, Walderslade, Gillingham, Twydall, Rainham, Wigmore, Sittingbourne, Teynham, Newington, Sheerness, Minster, Faversham, Whitstable, Herne Bay, Margate, Birchington, Sandwich, Deal, Ramsgate, Broadstairs, Dover, Folkestone, Hythe, Maidstone, Aylesford, Detling, Bearsted, Staplehurst, Lenham, Kings Hill, West Malling, East Malling, Canterbury, Chartham, Ashford, Tenterden, Lydd, Rye, Gravesend, Higham, Shorne, Meopham, Bean, Darenth, Dartford, Bexley, Bexleyheath, Orpington, Petts Wood, Sidcup, Eltham, Bromley, Greenwich, Wrotham, Sevenoaks, Westerham, Tonbridge, Tunbridge Wells, London, Kent Essex, Surrey and surrounding areas. Make the right choice, contact us today! Reasons to book Richie C Disco Services for your Special Occasion or Event? We are a full-time Professional Disco Service provider and we are therefore 100% dedicated to each and every booking made with us. We only have carefully selected, experienced DJs who take pride in the work that they do to make sure your event is a huge success. We discuss your music requirements in advance to ensure you get exactly what you want. Our quality sound and lighting equipment is reliable and looks great. All of our Bookings are confirmed in writing with a Guaranteed Booking Confirmation being issued for each and every booking made with us. We will liaise directly with the venue prior to your event if we have not worked there before to check the general set-up to ensure everything runs smoothly for you. We have Public Liability Insurance, CRB Check and all our equipment is PAT Test Certified. We can provide a copy of our Certificates directly to your venue where required. 18th Birthday, 21st Birthday, 30th Birthday, 40th Birthday, 50th Birthday, 60th Birthday and upwards! 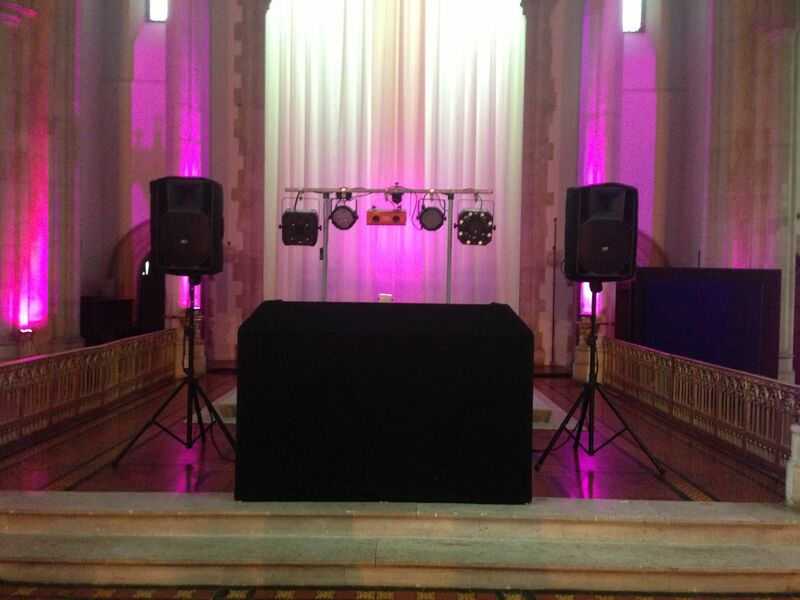 We can provide our Mobile Disco service for any special occasion or event. Take a look at the other pages on our website for more information on the overall service we offer. Please take a look at our Testimonials page. 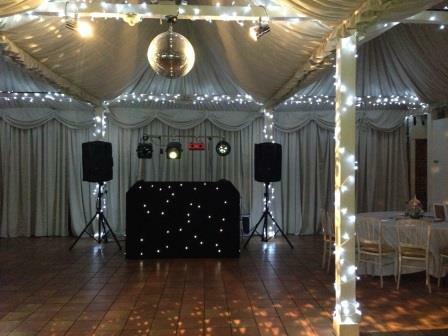 If you have a any Mobile Disco requirements for your event in Kent, just give us a call!